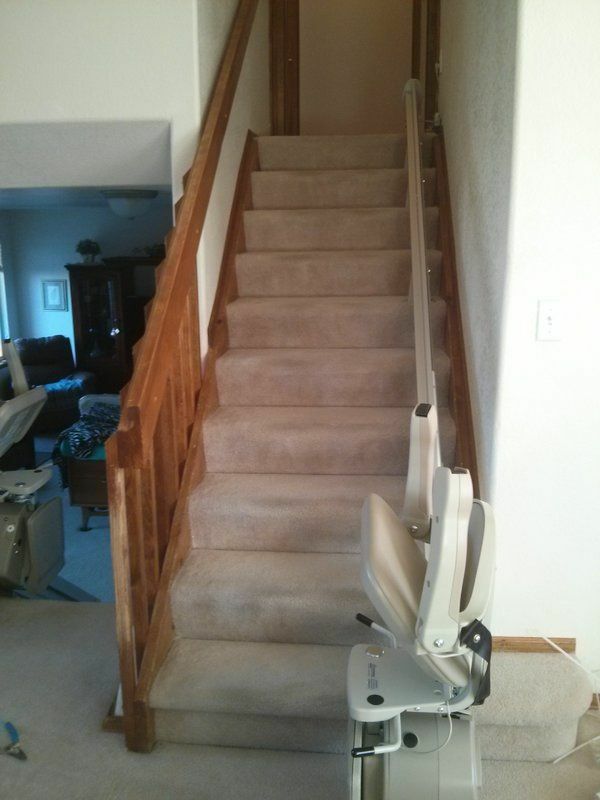 This straight stair lift in Aurora, CO went up to the 2nd floor and the seat swivels at the top of the stairs. Because the Bruno Elan only uses 2 inches of space, there was plenty of room to walk by for the rest of the family. This family installed the lift after a stroke and the user was walking with a walker. The seat is extra tall to make standing up easier, and this lift is one the few that has a height adjustable seat.